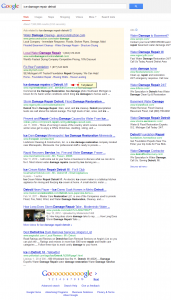 Our parents taught us that blowing one’s own horn is not nice or proper. 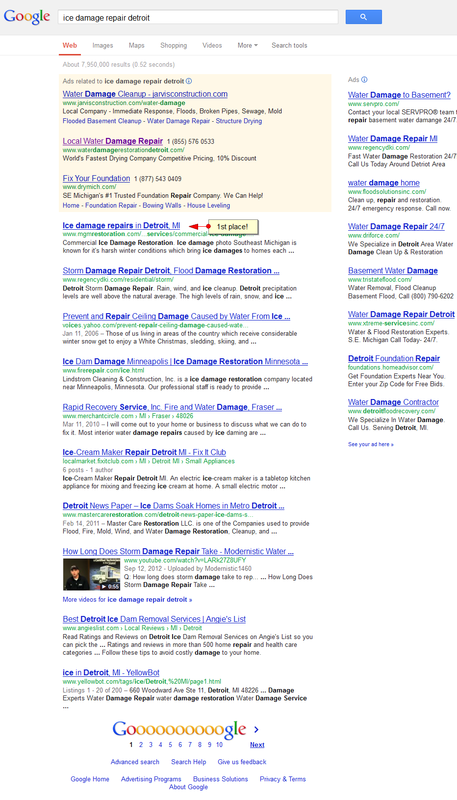 Eh, what the heck, our parents won’t be reading this blog post anyway. 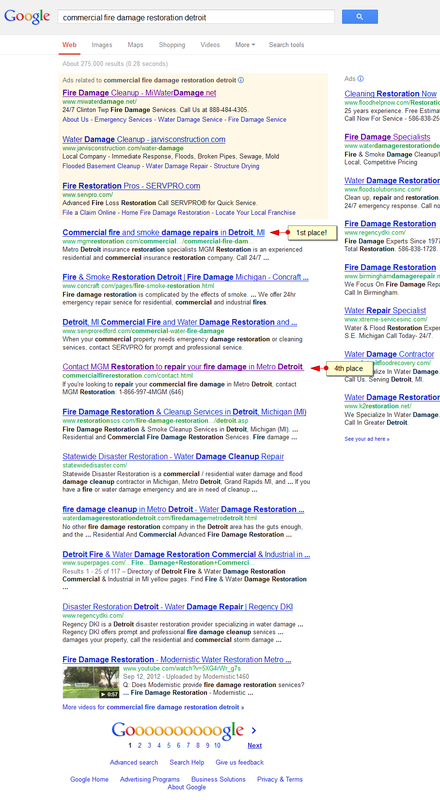 Last month we posted about some websites we built to achieve better SEO results for one of our clients in Metro Detroit, MGM Restoration. 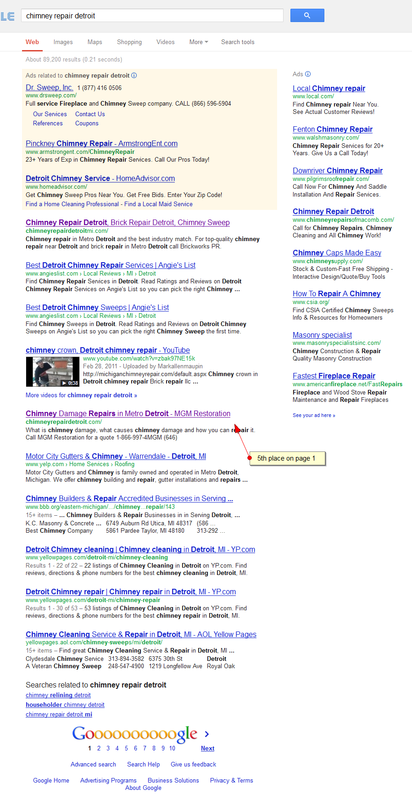 Today we’re proud to show that these sites are already working and bring great SEO results for our small business client. 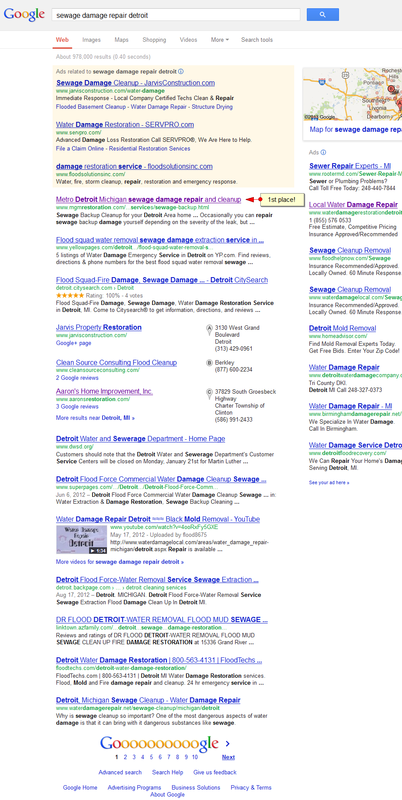 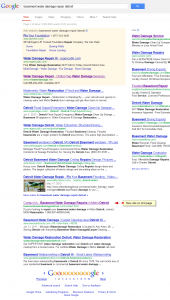 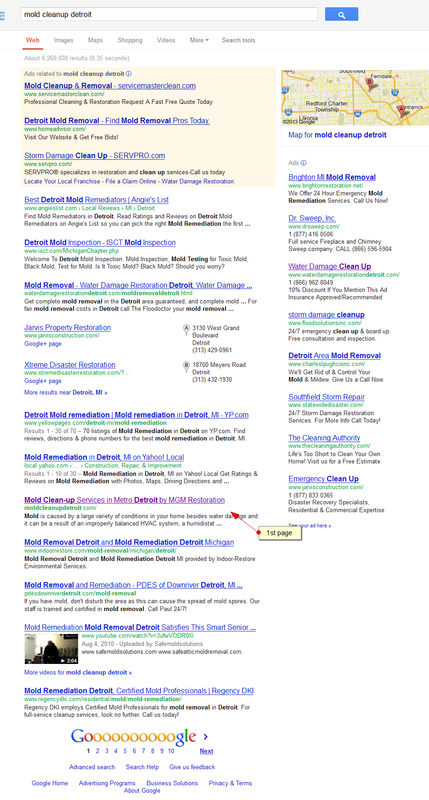 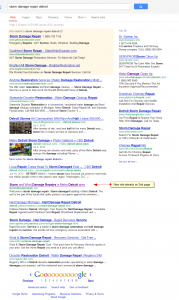 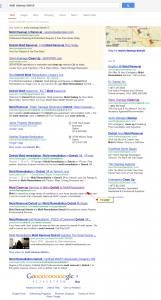 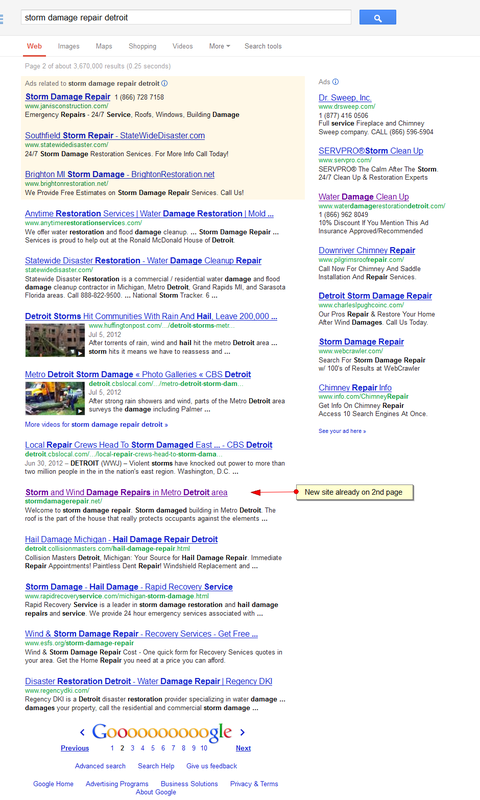 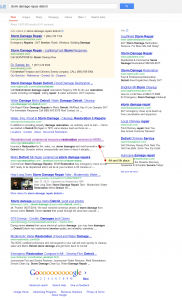 Page rank results for these sites as well as the main site for MGM Restoration are already on page 1 of google.com! 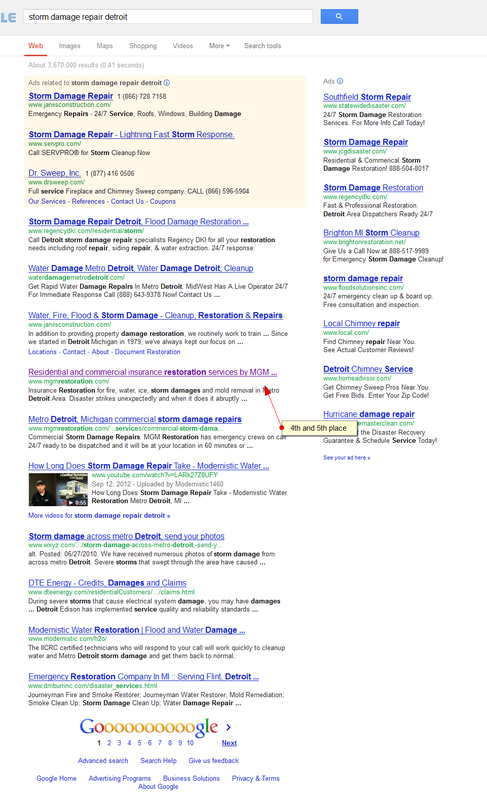 We did not use any magic bullets, nor any black-hat type SEO tricks for short-term results – just good, sound work with long-term goals. 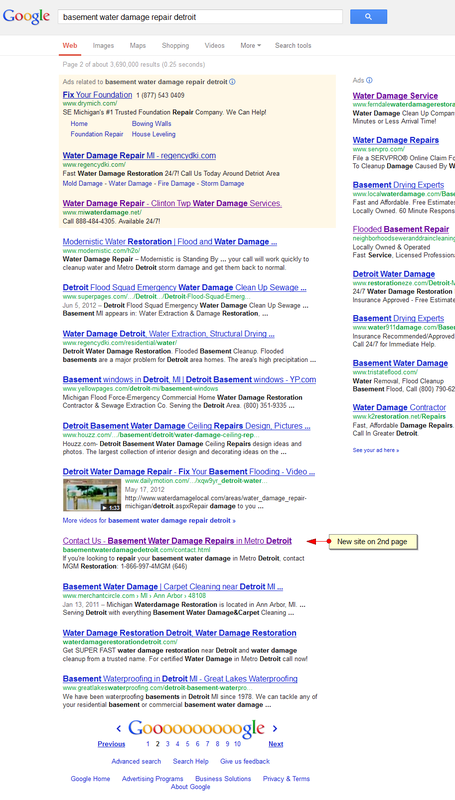 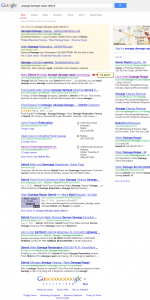 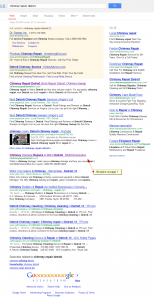 These are screenshots just from google.com; results on bing.com are similar and at times even better.